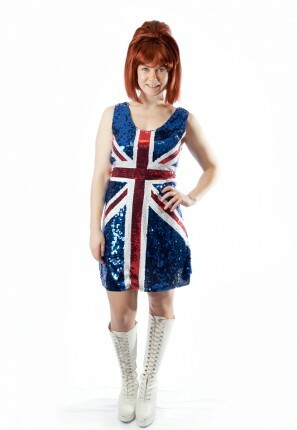 Get dancing to some 90’s tunes in this fantastic Ginger Spice Girls costume for hire. Ideal for a pop stars, British or celebrity party. 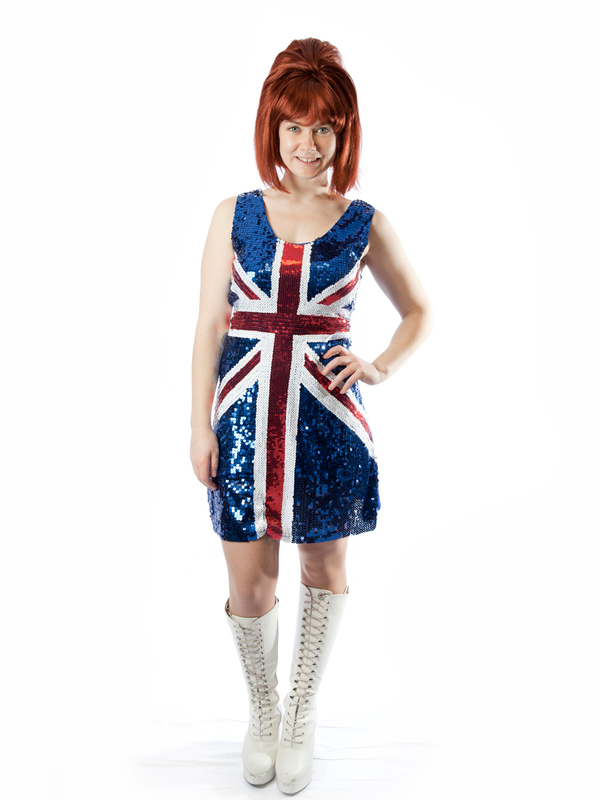 Costume includes sequin Union Jack dress, white boots and red wig.